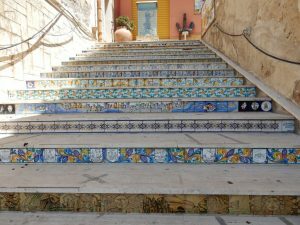 The city is full with painted ceramic tiles. There are at lest a dozen at the Lega Navale dock. 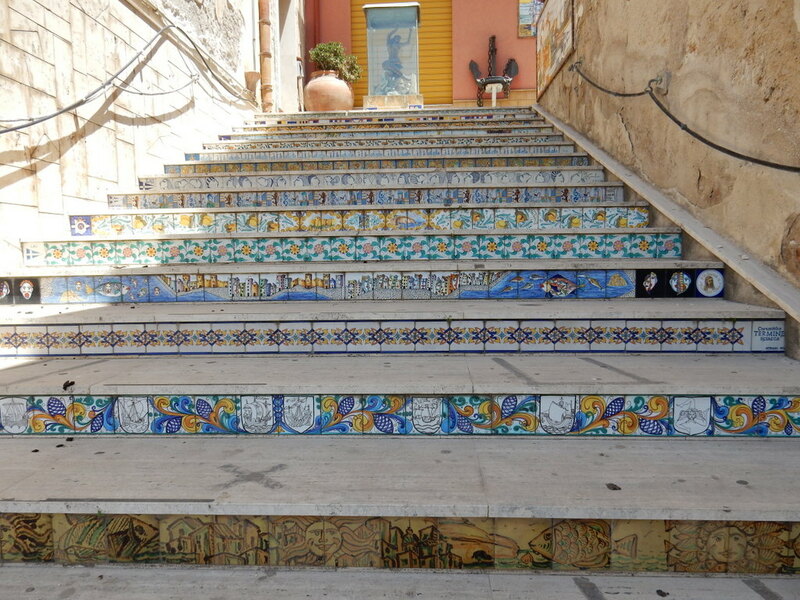 These are on the stairs from the harbor to the town up on the hill.